David M. Tyrrell – Logan Logan & Watson, L.C. David joined the firm in 2013 as an associate. Since that time, David has developed his practice in a number of areas, including: civil litigation, estate planning, small business matters, contract negotiation, health care law, internal investigations, nonprofit matters, and medical malpractice. One of his primary practice areas is the representation of physicians and health care providers in medical negligence actions. David’s experience in business and litigation allows him to obtain successful results for his clients. In all of his professional activities, David utilizes his knowledge and understanding of technology to assist his clients as well as to advise clients on risk management issues. David is particularly well-versed in understanding and counseling clients the unique issues presented by Electronic Medical Record systems. 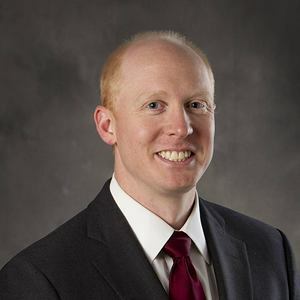 Prior to joining Logan Logan & Watson, David worked as an Assistant Prosecuting Attorney in Cass County, Missouri. During his time as a prosecutor, he gained significant courtroom experience while presenting cases to judges and juries. Additionally, he was a member of the Cass County DWI Court, Education Court, Child Abuse Response Team, and Arson Task Force. David was instrumental in the establishment of the DWI Court and Education Court, including drafting Request For Proposal and grant applications to the State. In David’s spare time, he volunteers for a group that provides refurbished computers and computer training to nonprofits, including a partnership with Operation Breakthrough. David lives in Leawood, Kansas with his wife and daughters.